As you can see, I can run Python (version 3.6.0 at this moment). 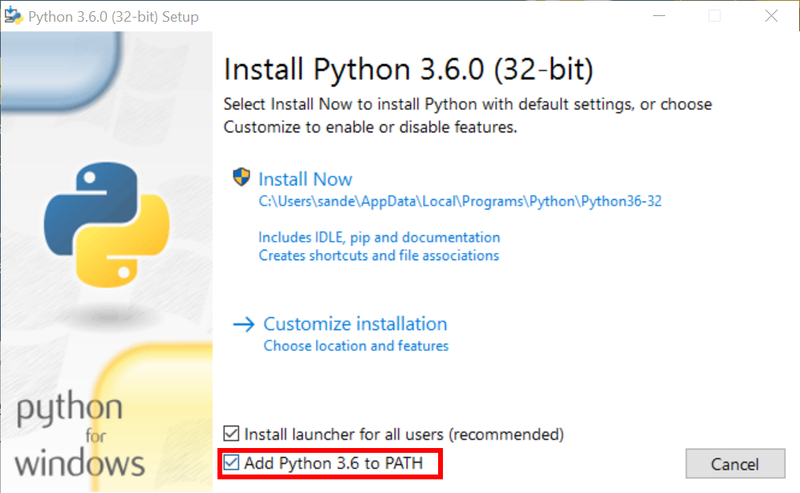 With the installation of Python comes the availability of the Python Package Index (PIP). This is a package manager which makes it possible to download new libraries into your Python environment. 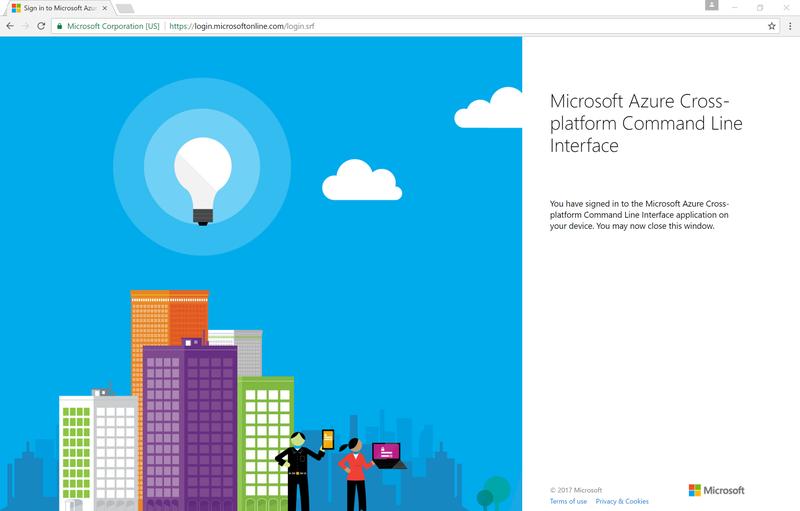 And the Azure CLI is available in this index! 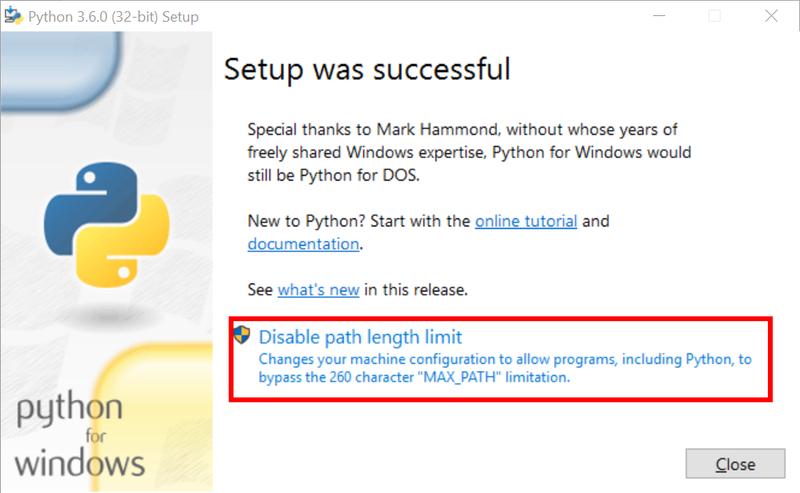 Note: if PIP is not available, reinstall Python and set the PIP option in the customize installation. Although I get an error, I know for sure the installation is ok. But the location of the CLI installation is not added to my environment path yet. Therefore I get this error while accessing the ‘az’ command of the CLI. Note: When you manipulate the path, please restart the DOSBox to make sure the update is available at the command prompt. This ‘az’ will unlock Azure at the Dos Prompt! At this moment we have completed the installation of the CLI and it’s available at the Dos Prompt but we can not manipulate Azure resources yet. We have to log in first! This login will survive closing the dos box and even rebooting the system. It will time out eventually conform the OAuth connection that is made. 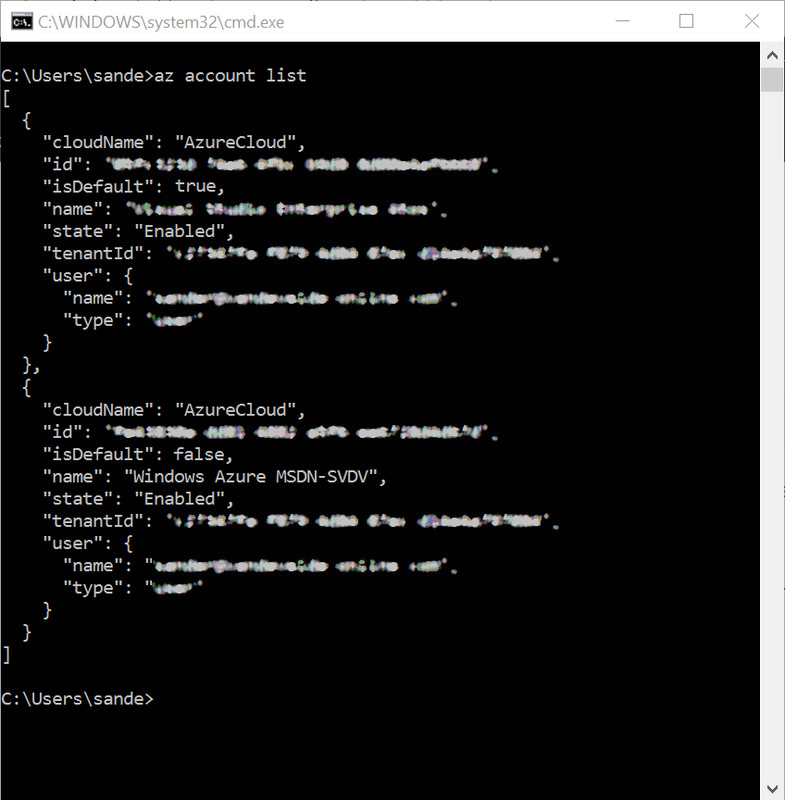 How about dealing with multiple Azure subscriptions? Resources, like the resource group shown at the top of this page, will be created in only one subscription at a time. If you have multiple subscriptions, you will have to switch between them. This is the account the CLI will use to create resources in. If this is not the subscription you are looking for, you can select another subscription. az account set --subscription "[name of second account]"
Finally, now the right subscription is used for adding and changing resources. This will take a couple of seconds. CLI commands are blocking by default. This means that the prompt will not return until the action (creation, deletion, etc.) has completed. This way, you can ‘chain’ commands in a batch file. Creating multiple resources which depend on each other will succeed all because resources are available at the right time. How did I know the available settings? The CLI is just another way of manipulating Azure. So you will have to learn all possible settings. Of course, there is a reference manual for this specific example. A full command reference is available here. 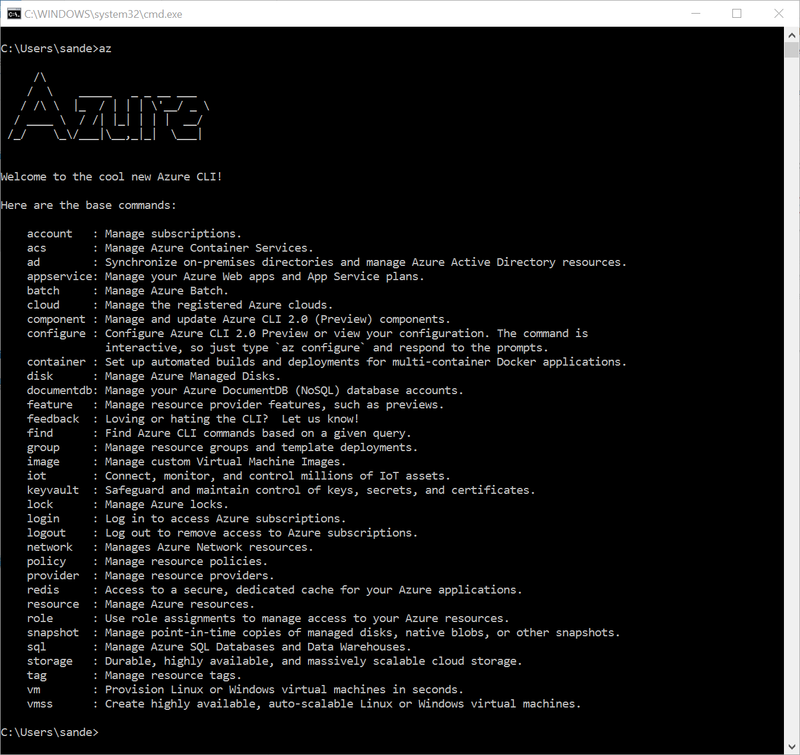 Using the new command-line experience for managing Azure resources give you great power. And the list of options seems limitless. I can recommend this way of creating resources. It’s a real time saver once you have installed the CLI successfully.